On March 11, President Emmanuel Macron announced that France will pledge €700m ($862m) to solar energy projects by 2022. The announcement was made during his trip to India at the first ever summit of the International Solar Alliance, an intergovernmental organisation launched in 2015 by Indian Prime Minister Narendra Modi to promote the use of solar energy. Macron promised to build on France’s existing €300m ($369m) contributions to the body, bringing country’s total donations up to €1bn ($1.23bn). The overarching goal of the alliance is to generate $1trn to fund solar research across 121 countries by 2030. It places special focus on those countries between the Tropics of Cancer and Capricorn, which receive large amounts of sunlight. So far, 60 countries are signatories to the alliance, with almost half of them having ratified the agreement. India, the world’s third-largest emitter of carbon dioxide, has seen rapid advancements in its renewable energy capacity over the last few years, and seeks to nearly triple its capacity to 175GW from non-fossil fuel sources by 2022. Since 2015, India’s renewable energy capacity has risen from 39GW to 63GW. 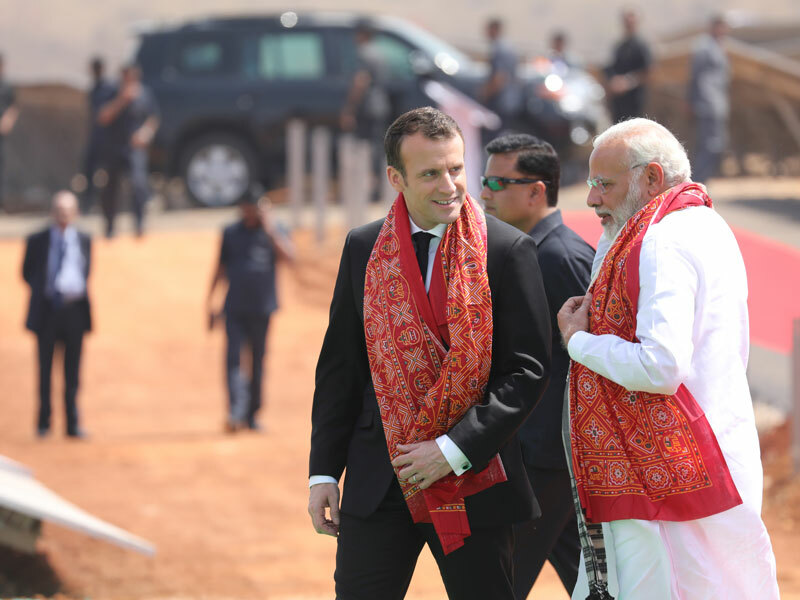 As part of his India trip, Macron accompanied Modi to the inauguration of the largest solar power plant in the northern Uttar Pradesh province. Costing approximately $76m and built by French energy firm ENGIE, the plant will be able to generate 75MW of energy. For comparison, 1MW could power 1,000 houses for an hour, although number will vary depending on weather conditions. As with any emerging technology, funding is always a roadblock to implementation. A priority for member countries is to lower the cost of financing solar projects around the world, thereby promoting investment into renewable energy at all stages of the supply chain.